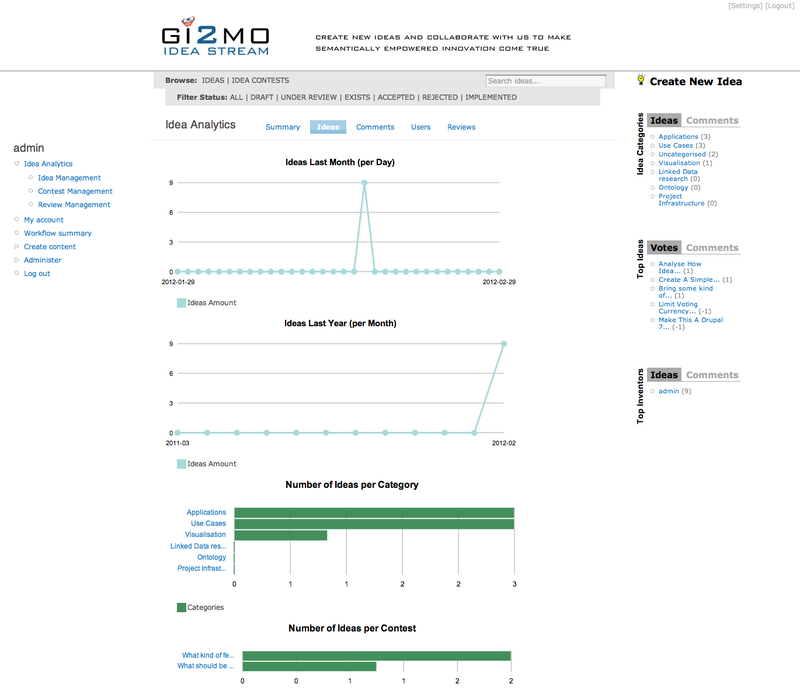 Gi2MO IdeaStream Analytics is a Drupal extension that works together with the IdeaStream module and delivers a number of statistics and charts generated for data stored in the IdeaStream system. 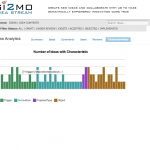 Info: An extension to IdeaStream that delivers charts, statistics and summerised table views for Idea Management System data. 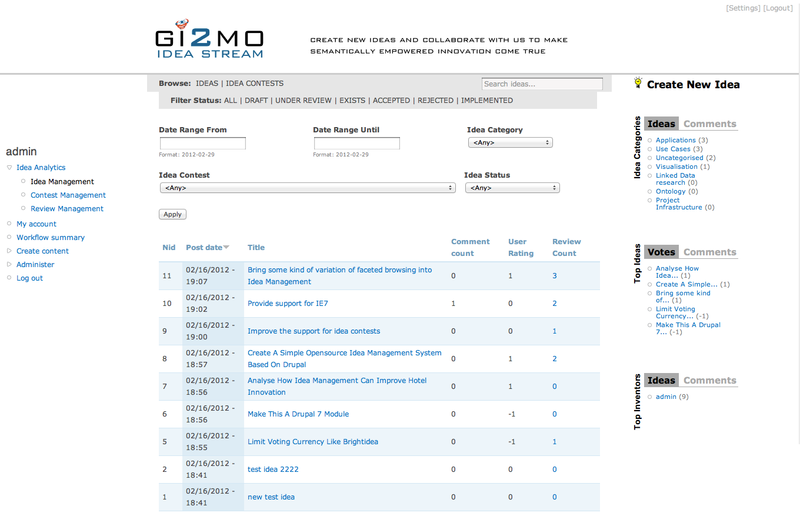 Summary Statics- general overview of all data in the Idea Management System, e.g. 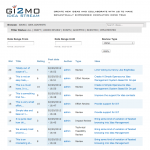 count of posts per each content type; maximal, minimal and average amounts of comments, reviews per idea. time statistics etc. Charts – timeline statistics (per month and per year) for ideas, contests, reviews and comments. Additionally bar charts with breakdown of posts per each category type. 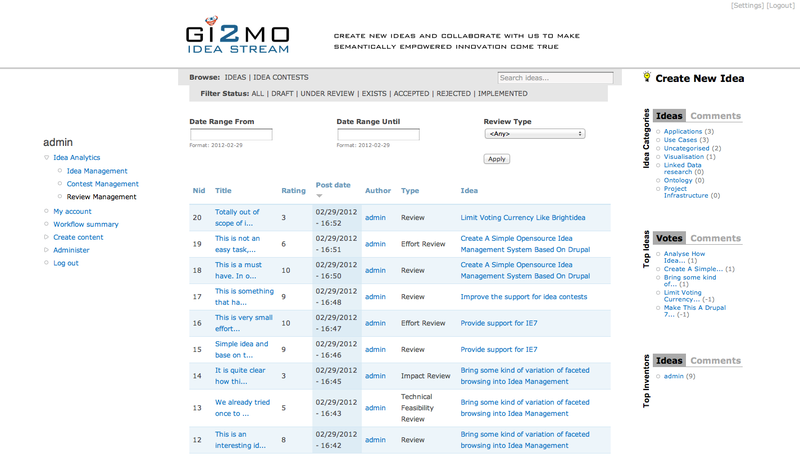 Idea, Contest and Review management – table views that allow to browse the content submitted by users, view basic statistics and filter this data based on various criteria. 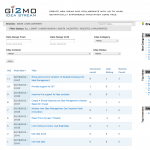 In addition to the above, the module supports the Gi2MO Types taxonomy. 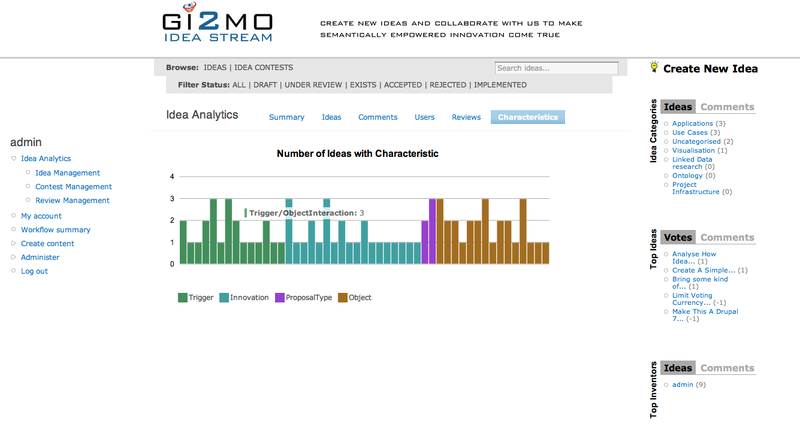 Upon the detection of taxonomy IdeaStream Analytics allows access to charts and statistics on annotations that describe ideas characteristics. 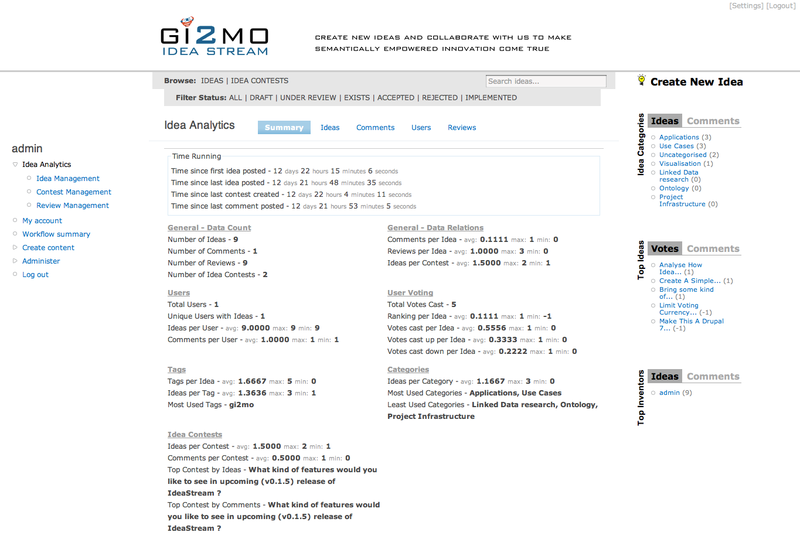 For details how to install and use Gi2MO Types in your IdeaStream refer to the related blog post. The availability of IdeaStream Analytics functionalities for particular user roles or groups can be customized using User Permissions in the Drupal administration settings screen. The module adds a new ‘view analytics content’ permission for this purpose. 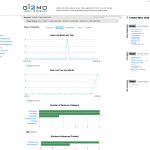 Aside of the IdeaStream modules, the IdeaStream Analytics module relies and requires the following Drupal modules (all are included in the distribution package): Charts and Graphs, Date, jQuery UI, Views GroupBy (modified version, released with IdeaStream v0.1.5).